High purity manganese (III) fluoride can be provided by Stanford Advanced Materials with competitive price. Other customized Manganese compounds can also manufactured and supplied upon your requirements. Other fluorides: Manganese (II) Fluoride (MnF2), Samarium (III) Fluoride (SmF3), Sodium Fluoride (NaF), etc. 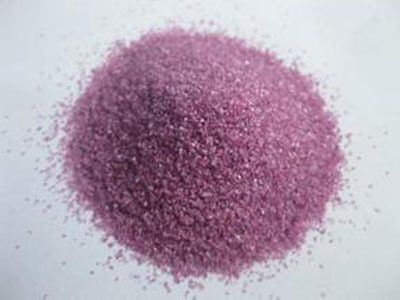 Manganese (III) Fluoride (MnF3), also known as manganese trifluoride, is a purple-pink crystal. It can form hydrofluoric acid when dissolved in water, which can be dangerous and should not be stored in glass. H272 May intensify fire; oxidizer. P220 Keep/Store away from clothing/combustible materials. P280 Wear protective gloves/protective clothing. P301 + P310 IF SWALLOWED: Immediately call a POISON CENTER or doctor/physician. P305 + P351 + P338 IF IN EYES: Rinse cautiously with water for several minutes. Remove contact lenses, if present and easy to do. Continue rinsing. Our Manganese (III) Fluoride (MnF3) is clearly tagged and labeled externally to ensure efficient identification and quality control. Great care is taken to avoid any damage which might be caused during storage or transportation.